Nafisa is a doctor with three children and a husband. Forced to flee from Afghanistan after a horrendous acid attack, Nafisa and her family are stuck in Turkey with ongoing threats to their lives. OFWI is providing assistance with medical relief and support to her family in Turkey. Our goal is to resettle Nafisa and her family to Canada as refugees. To make this a reality, we need your help. She wouldn’t sleep with another man, so he threw acid on her in response, scarring her for life. Born and raised in Afghanistan. Nafisa was going about her life in 2016 when a man approached her demanding she sleep him with. She refused, and he threw acid on her. It burned her face requiring extensive surgeries and also physically scarred her daughter. His attack did not end there. Nafisa and her family were forced to flee to Turkey and have been in hiding for 3 years. Their asylum claim has been recognized by UNHCR, but remain stuck in Turkey with limited supports and ongoing threats to their safety. 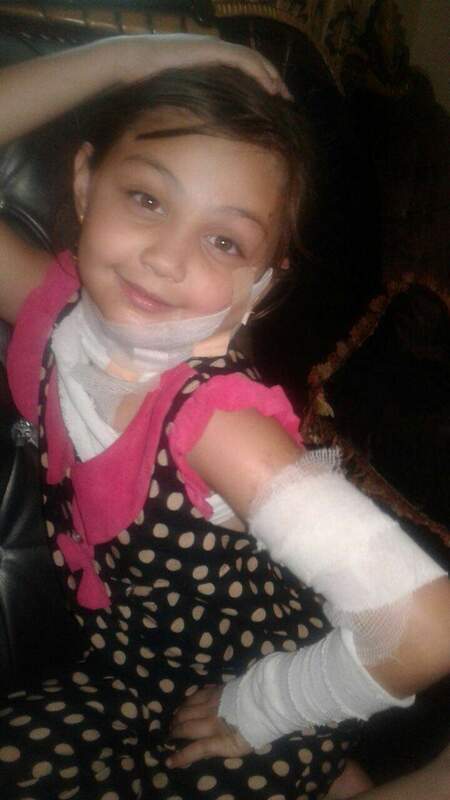 Fundraise to get her ongoing needed medical treatment. Identify potential sponsors for her refugee application to Canada, building a roadmap for their freedom. Pressure the Afghan government to bring the perpetrator to justice. Speak out for women who increasingly are the targets of acid attacks. Systemic misogyny must be confronted. Help us pave the way for a new life of freedom for the family in Canada while pursuing justice for the perpetrator in Afghanistan. Some of the acid splashed onto her daughter during the attack and is receiving ongoing treatment. You can watch this news report in Persian from the summer of 2016 when the attack took place.